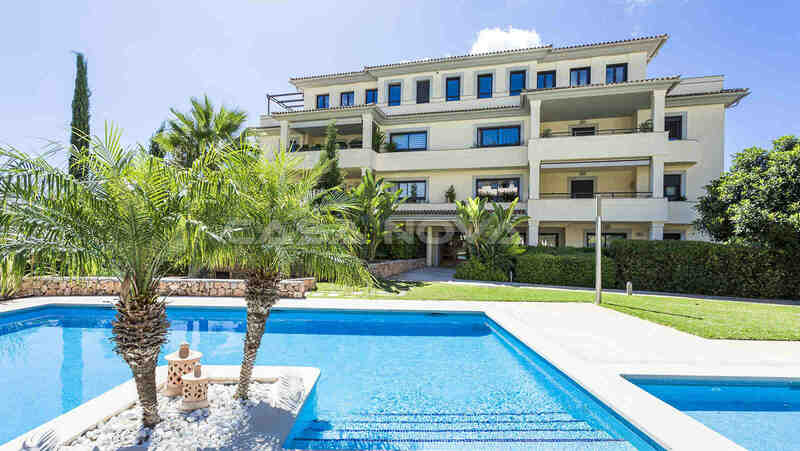 Real Estate Mallorca : This generously divided and high quality penthouse is located in an exclusive residence in Santa Ponsa in the southwest of Mallorca. 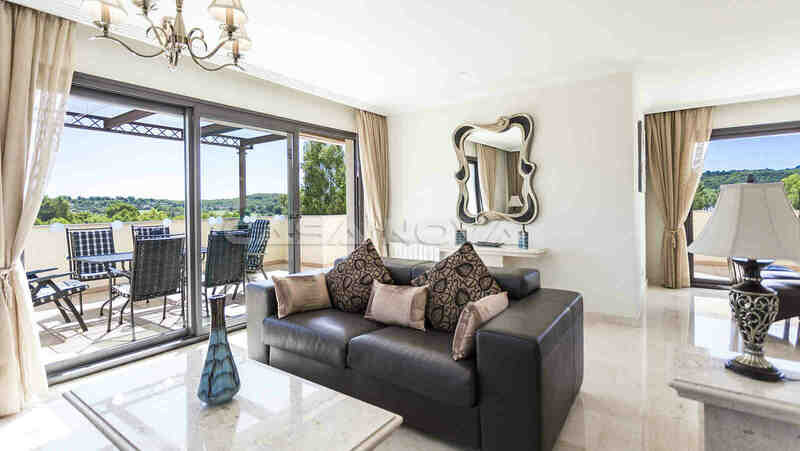 The exclusive penthouse has an elegant design with its living area of approx. 159 m2. 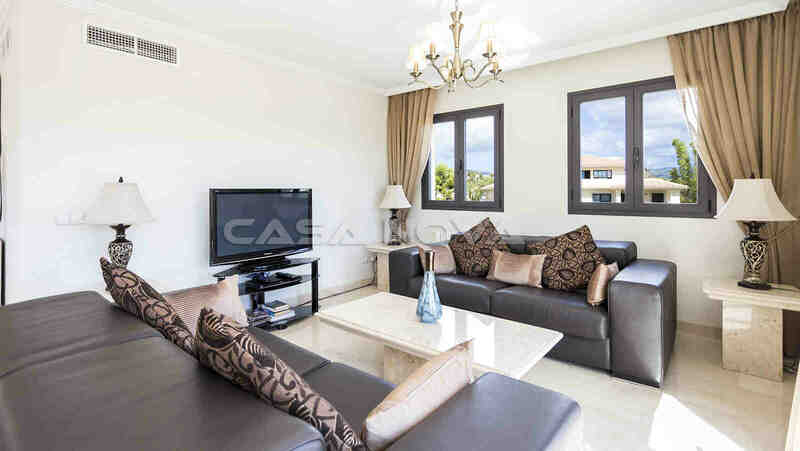 The light flooded, large living/dining room gives access to the terrace area of approximately 76 m2. 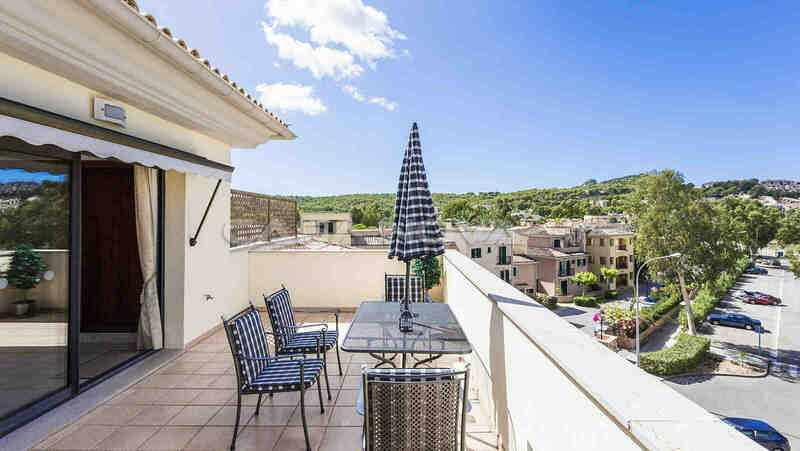 The outdoor area offers plenty of space to relax and enjoy the wonderful view over the well-kept community garden, the pool area and the Tramontane Mountains. 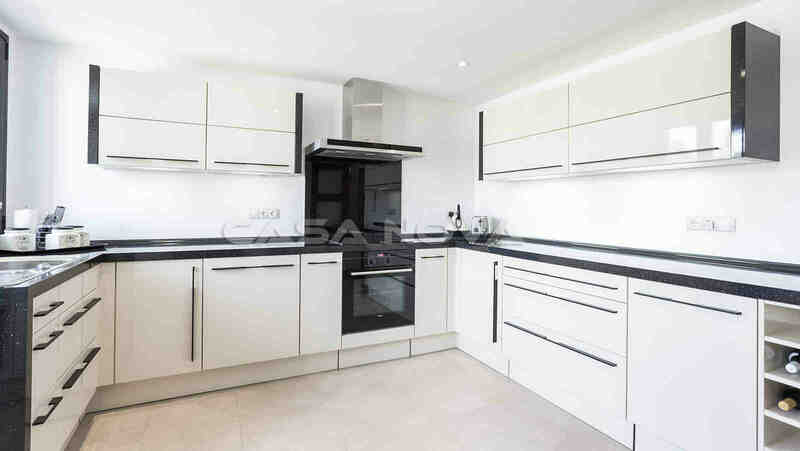 Furthermore, there is a modern kitchen, fully equipped with Siemens appliances, with an adjoining utility room. 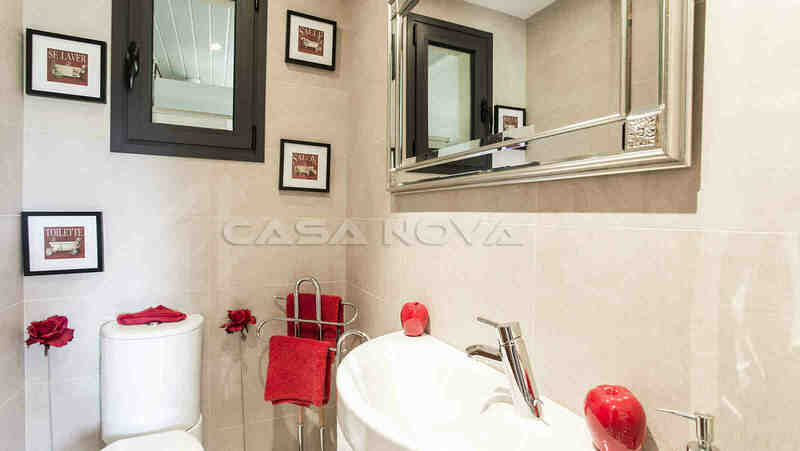 The apartment offers 3 bedrooms and 2 bathrooms one bathroom is en suite and a guest toilet. 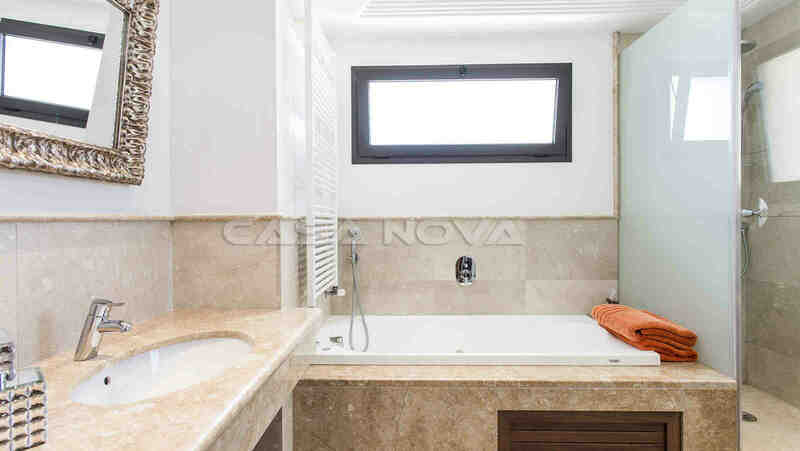 Further equipment`s are : built-in wardrobes, counter-intercom, gas central heating, air conditioning h/c, 2 parking spaces in the underground garage and 1 storage room in the basement area. 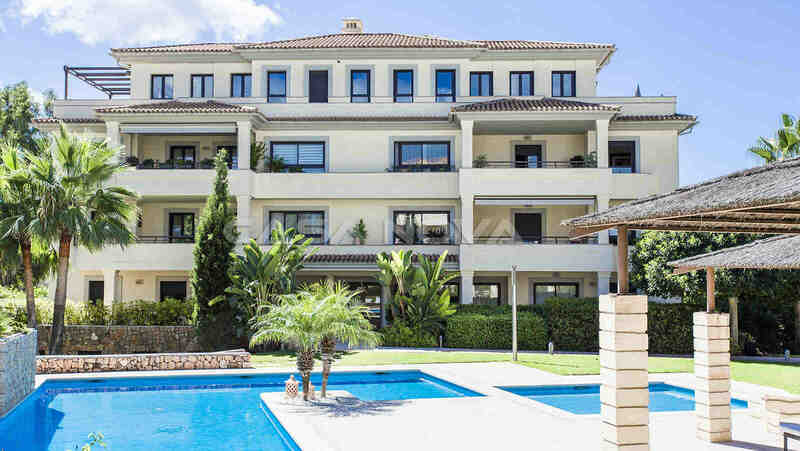 There is also a very well-kept common garden with a pool area and an outdoor shower. 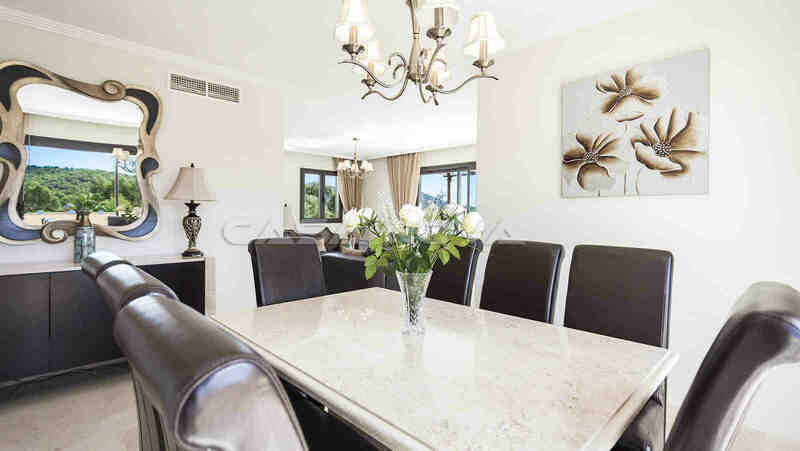 Santa Ponsa is only about 20 minutes from the island capital Palma de Mallorca. The town center is grouped around an elongated bay, surrounded by rocks. The place offers many restaurants, cafes and shopping facilities. The beautiful sandy beach is aligned to the west, so you can enjoy the sun until late in the evening. 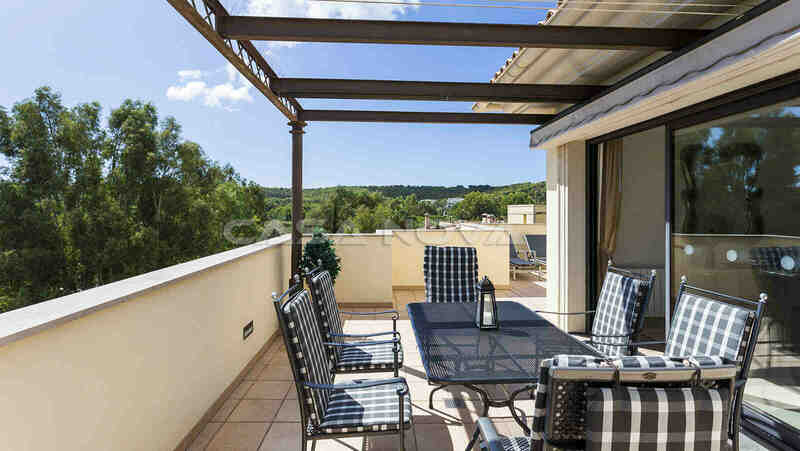 Santa Ponsa offers a good infrastructure all year long and is suitable for long walks, boat trips, biking, swimming, tennis and golfing. To the international airport it takes about 25 minutes. 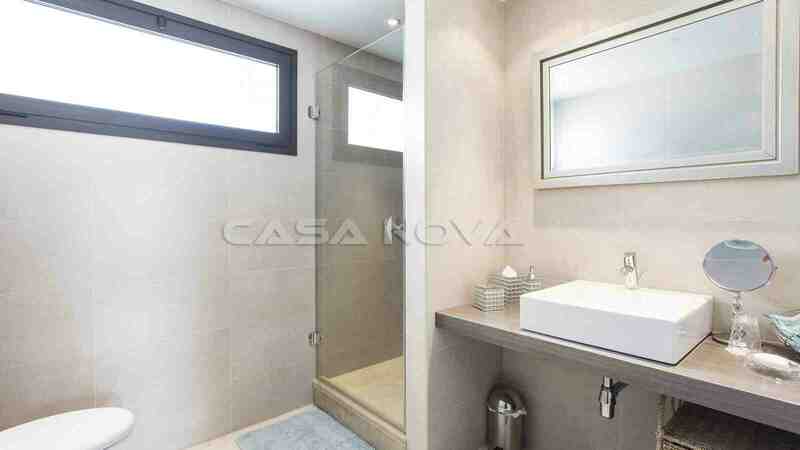 If you are interested in a visit to this extraordinary property in Mallorca, please contact your real estate agency Mallorca, Casa Nova Properties! No intermediary fees will be charged to the buyer!